Beat the flu, and the cold this winter: 100% guaranteed!!! Winter is here! This is exactly when we tend to get sick. 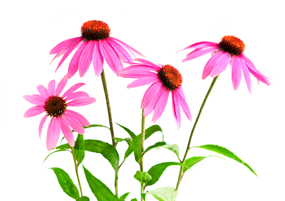 I’m sure you’ve all heard about echinacea and goldenseal before, but never really examined or believed in the power of this natural remedy. Daily use of these herbs will not only protect you from getting the common cold and flu, but with the correct use can also get rid of it in as fast as 24 hours. As a preventative, use it 2-3 times a day for 10-14 days. With the first sign of a cold or the flu, start taking it every 2-3 hours. You will be over the cold within a day. Read more to learn more about these natural & powerful immune boosters.